Stubbs, who fell into a major slump late in the season, batting just .188 after Aug. 12, became expendable once the Indians signed free agent outfielder David Murphy to a two-year, $12 million contract. CLEVELAND (AP) — The Indians have acquired left-hander Josh Outman from Colorado for outfielder Drew Stubbs. The Indians had issues getting out left-handers, a reason they acquired Marc Rzepczynski from St. Louis before the trade deadline. 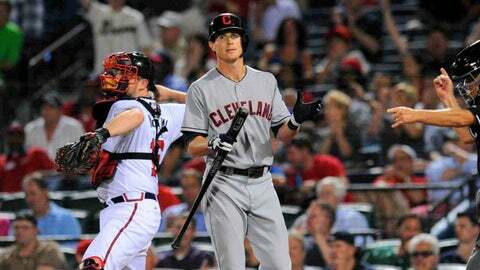 Stubbs, who came to Cleveland in last December’s trade with Cincinnati for Shin-Soo Choo, batted .233 with 10 homers and 17 steals as a part-time player for the Indians. Cleveland’s signing of free agent David Murphy made Stubbs expendable. 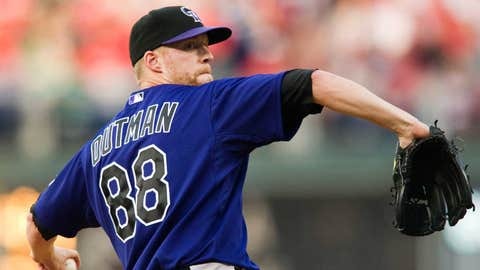 Outman, 29, spent most of last season with the Colorado Rockies, going 3-0 with a 4.33 ERA in 61 relief appearances.